Hunger is on the rise, and threatens the development of our children, the vitality of our workforce, and the strength of our communities. This series will examine the fundamental causes of poverty and hunger, debunking the myths, exposing the realities, and offering creative solutions to these challenges. 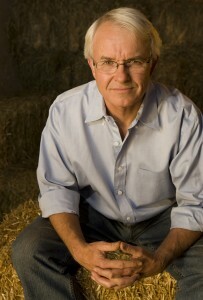 From 1979 to 2003, Mark Winne was the Executive Director of the Hartford Food System, a Connecticut non-profit food organization. He is the co-founder of the Community Food Security Coalition where he also worked as the Food Policy Council Program Director from 2005 to 2012. He was a Kellogg Foundation Food and Society Fellow, a Johns Hopkins School of Public Health Visiting Scholar, and a member of the U.S. Delegation to the 2000 Rome Conference on Food Security. He is most well-known for his book Closing the Food Gap: Resetting the Table in the Land of Plenty. His upcoming book, Stand Together or Starve Alone: Unity and Chaos in the U.S. Food Movement, will be released at the end of 2017. Through his own firm, Mark Winne Associates, Mark speaks, trains, and writes on topics related to community food systems, food policy, and food security. He also serves as Senior Advisor to the Center for a Livable Future at the Johns Hopkins University School of Public Health. Mark will be delivering a talk on the role of public policy in addressing food insecurity. The agenda for his visit is below. This event is free and open to the public.